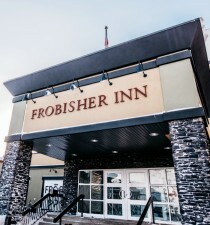 Visitors to Nunavut planning to stay in hotels should be prepared to pay relatively higher prices for more modest accommodation than is typically found in southern Canada. Some hotels include meals with the price of the room — visitors should enquire when booking. Most hotels in Nunavut are basic and simple, but they are very clean and comfortable, often featuring local Inuit artwork that would make southern hotel owners quite envious. 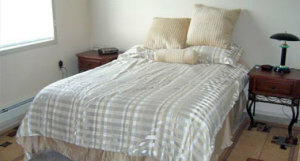 In many smaller communities, hotel space is often booked by the bed, not by the room. Shared bathroom facilities are not unusual outside of the three regional centres of Iqaluit, Rankin Inlet and Cambridge Bay. 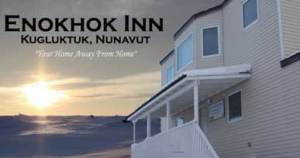 Most hotels in Nunavut are basic and simple, but they are very clean and comfortable, often featuring local Inuit artwork that would make southern hotel owners quite envious.